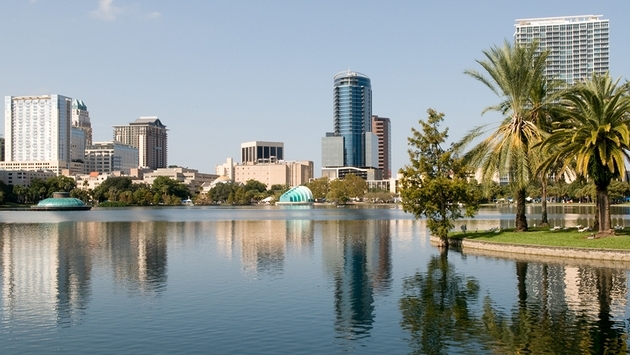 PHOTO: Orlando is a top destination for Thanksgiving, Christmas and New Year's this year (Courtesy Thinkstock). If you haven’t finalized your travel plans for the holidays yet, you better get to it. That is, according to the Orbitz.com Holiday Travel Insider Index. The Orbitz.com Holiday Travel Insider Index, based off Orbitz.com consumer research and booking data, recently revealed that 65 percent of travelers surveyed plan to travel between Thanksgiving and New Year’s this year. While most of the best deals have likely already passed (the best deals show up before Oct. 21, according to Orbitz.com), travelers still have some time to make sure they are at least not paying top dollar. The report notes that travelers who book after Nov. 18 will generally pay 5 percent or more on airfare. And given the average airfare has increased by 3 percent this holiday season, compared to the same period last year, travelers may want to avoid that. To make travel planning easier, Orbitz.com has created an interactive calendar, which highlights the best days to book in real time. The Orbitz.com Holiday Travel Insider Index also tapped into the moods of travelers during the holiday season by analyzing their booking behaviors. Interestingly enough, analysis revealed that one-third of travelers aremore stressed out during the holiday season than any other time of the year. Even more curious, those hip millennials appear to be the most stressed out compared to any other generation. Orbitz.com classified more than 1,000 travelers into three types: “Frazzled,” “Calm” and—humorously enough—“Super Chill.” Millennials made up more than half of the Frazzled group, while Baby Boomers were the largest demographic in the “Super Chill” category. 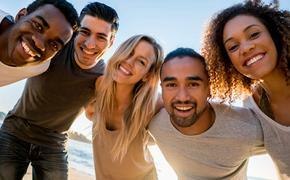 Stacey Symonds, senior director of consumer insights for Orbitz.com, opined that millennials may be so stressed out because of their inexperience in regular travel, compared to, say, Baby Boomers. Overall, more than half of those studied are Calm during the holiday season, while 37 percent are Super Chill and 11 percent are Frazzled. When it comes to spending money during the holiday season, the Orbitz.com Holiday Travel survey found that only 11 percent of travelers expect to spend less this holiday season, while 30 percent plan to spend more. And while 60 percent of travelers are willing to spend up to $2,500 on holiday travel this year, some incidentals they refuse to pay a lot for, such as parking and baggage. Last but not least, the Orbitz.com Holiday Travel Insider Index features the top 10 destinations for Thanksgiving, Christmas and New Year’s this year, based on total bookings on Orbitz.com for the periods. The top five destinations for Thanksgiving include (in order): Orlando, Cancun, Chicago, New York City and Los Angeles. The top five destinations for Christmas are: Orlando, Cancun, Los Angeles, Miami and San Juan, Puerto Rico. The top five destinations for New Year’s are: Cancun, Orlando, San Juan, Las Vegas and New York City. Thanksgiving hotel rates are up 5 percent since last year, while airfare has increased by 2 percent. While hotel rates have increased by only 2 percent for Christmas, airfare has increased by 5 percent since last Christmas period. Hotel rates and airfare have increased by 3 percent for New Year’s. Travelers who book by Dec. 31 for travel through March 31, 2015 and enter the code HOLIDAY on Orbitz.com will receive 10 percent off hotels. To view the full Orbitz.com Holiday Travel Insider Index, click here.